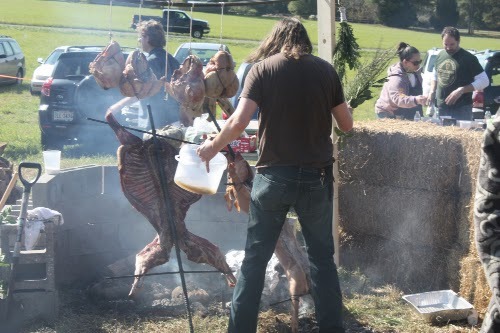 A week ago Sunday, I had the pleasure to attend and help celebrate Belmont Butchery's 7th Anniversary at Beast Feast! 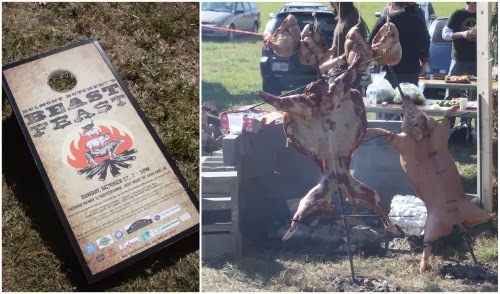 Patrick Henry would be proud of what took place on his farm, Scotchtown, in Beaverdam, Virginia — all ticket proceeds went to the preservation of this historic site. 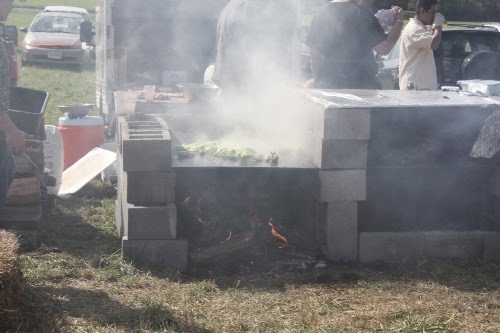 Dave Quisenberry, former Richmond chef and fire pit extraordinaire for this event! 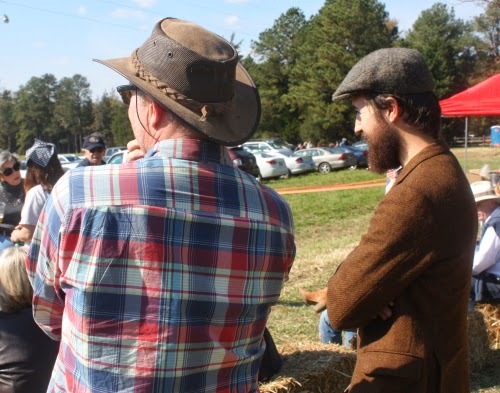 It was great to have my friend and local farmer, Josiah Lockhart, attend and help out at this event as I had time to reflect on the pig I've purchased from his farm. 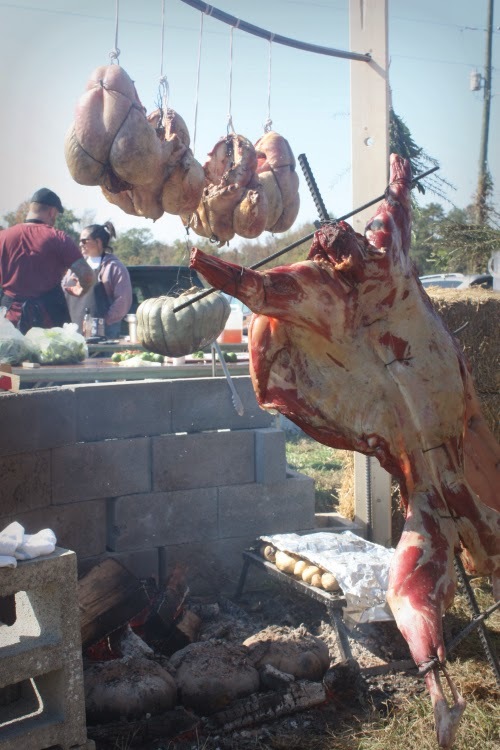 This past Friday my pig went to butcher and there will be plenty more to come on future posts about this. 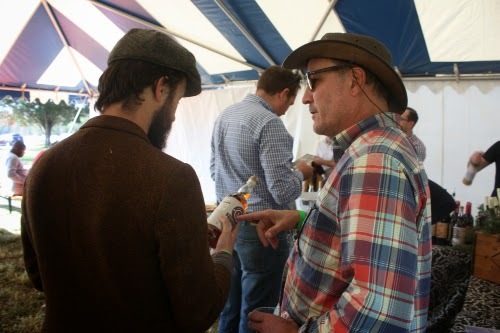 A local scotch whiskey was being highlighted at the event and after I gave Josiah my thoughts on this particular Virginia highland malt, Dan FitzHenry, director of sales and marketing for the The Virginia Distillery Company, jumped in to let us know exactly what was happening at the distillery still in construction in Lovingston, Virginia. He also shed some light on when we might see the first product available from the distillery. 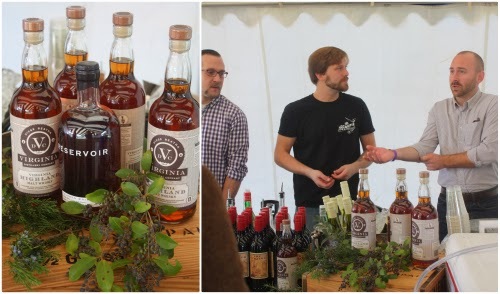 If you know me, you know I love a good scotch, so this was particularly exciting for me to learn more about. 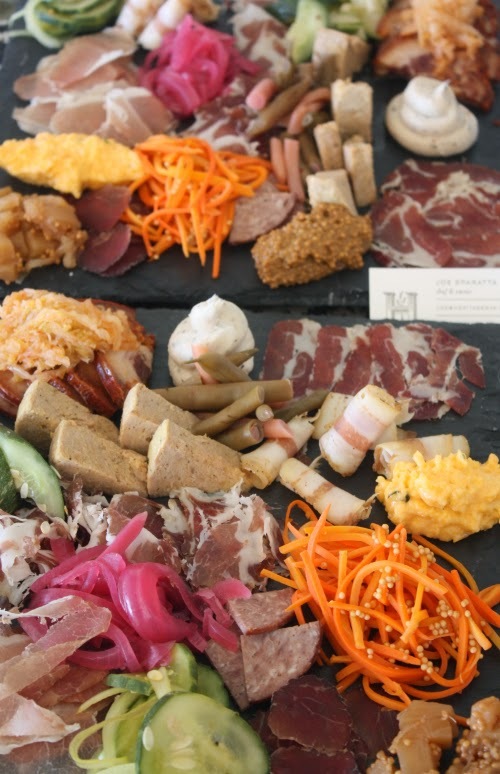 Joe Sparatta of Heritage prepared the charcuterie plate starting things off in the VIP tent where many of the local chefs came to cool off, have a drink and mingle with guests. 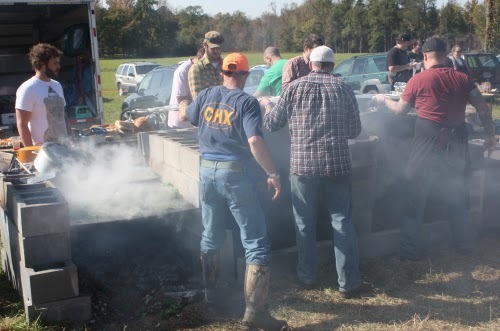 I'd volunteered to help shuck oysters at the event, and headed over to man the station at 2:00. 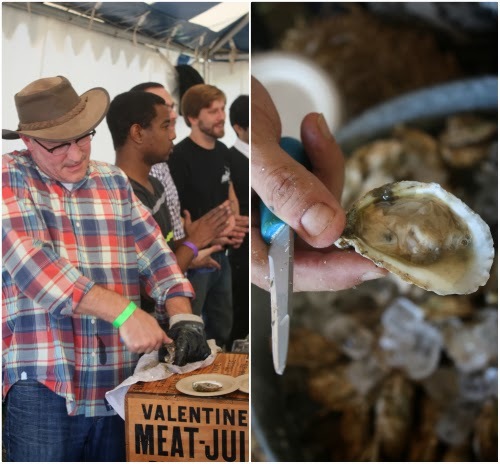 All the oysters were provided by Rappahannock River Oyster Company, including 2 bushels of my favorites — Olde Salts! The oysters were a hit all around and didn't last long. 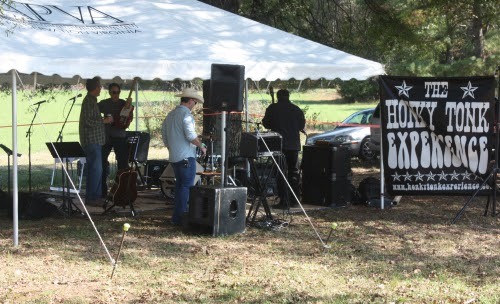 Music was provided by The Honky Tonk Experience which kept the crowd grooving through the meal and right up until the close at 5:00. At the end of this amazing day, approximately 400-450 people were fed and heading home satisfied from an event. 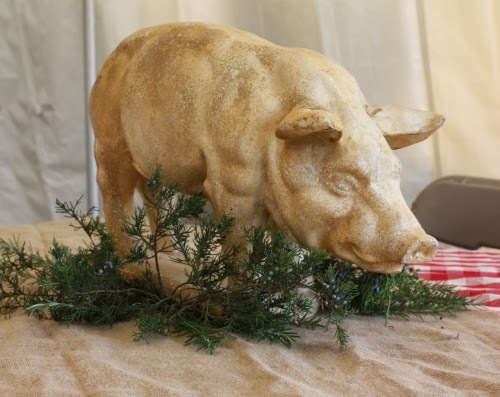 We all hope it will happen again — there are talks of a return next year and I believe this was the only swine to make it out alive. 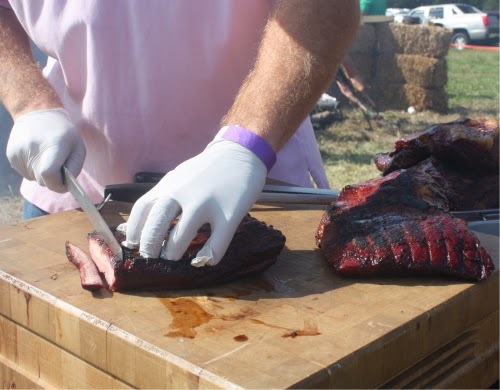 If you catch wind of Beast Feast next year I would suggest getting your tickets early, as it is sure to be a sell out and I hope to see you there!